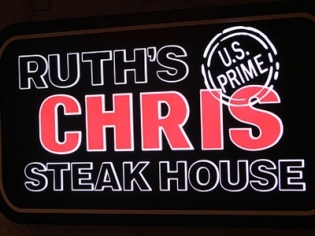 The panoramic views of the Las Vegas Strip make this location of Ruth’s Chris Steak House unique among it’s rivals. The prime steaks, delectable appetizers and award-winning wine list are a tradition at all Ruth’s Chris locations. A fabulous place to celebrate any occasion or an elegant yet comfortable place for meeting with colleagues, Ruth’s Chris sets the standard for steakhouses nationwide. For over 50 years they have been catering to the upscale appetites from New Orleans to New York and beyond. Their trademark is the 1800-degree oven to “sizzle” the steaks, which are then served on a 500-degree plate. Classic and classy, Ruth’s Chris is the ultimate dining experience.